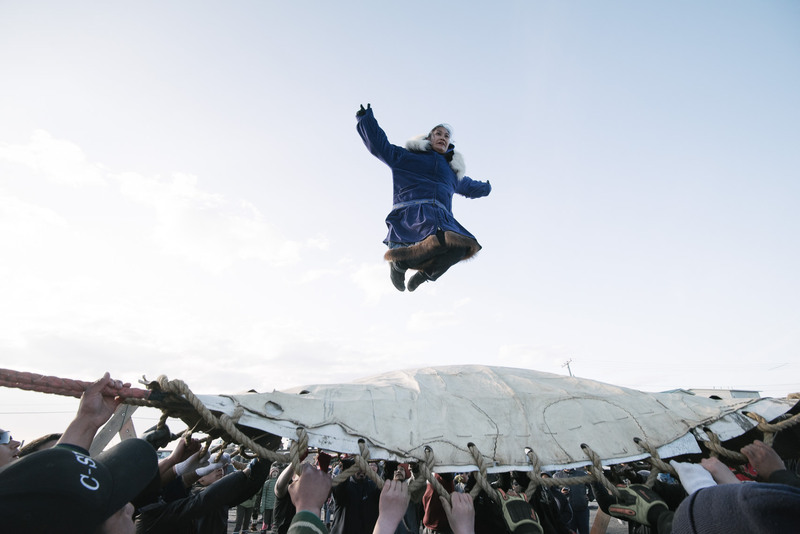 At Nalukataq in Barrow, Alaska, the Iñupiaq whaling festival, the village comes out to celebrate a successful whaling season and to give thanks to the whale for its gift. Here, successful whalers must do the blanket toss. They are thrown up to thirty feet in the air, and depend on everyone's hands to land safely. This trust goes back millennia, and ensures intimacy among the growing population in Iñupiaq villages.